Facebook no doubt is regarded as the king of all the social networking websites. Facebook is used by users to connect to friends and interact with them. With the latest feature in Facebook, users can use Facebook now for the promotion of their businesses. Companies have made their fan pages and you’ll have to just like it and you can just learn everything of the company. Facebook has been banned in many countries. Some countries have banned it due to the clash of their policies with the policies of Facebook and some have banned on religious rights. 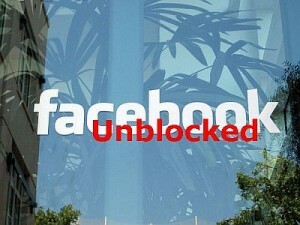 Banning of Facebook is irritating the users a lot due to this we today will show you how you can unblock Facebook. You can choose any one of the above proxies to unblock Facebook. Some of these may not work so don’t be disheartened and check any other and you’ll be lucky enough to find at least one working. Proxies do not guarantee their work i.e. Proxies are not capable of unblocking every time. If the proxy itself is blocked then again find a proxy and try accessing the Facebook. For a guaranteed unblocking of Facebook we suggest the users to access the Internet using a VPN connection. A VPN allows users to connect and surf the Internet in a free way. You can unblock Facebook through a VPN by indicating an IP from another country and access it easily. Best 5 VPN service providers are given below.